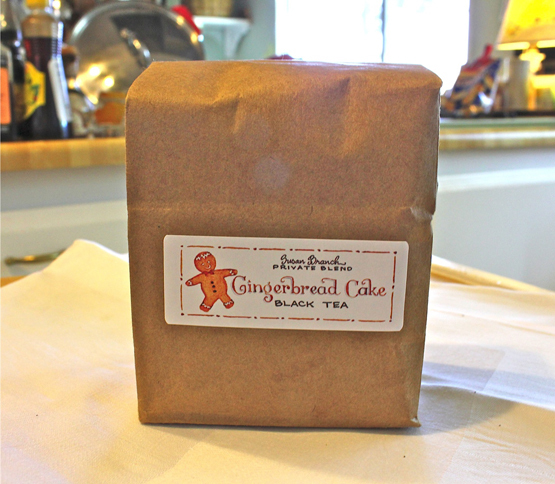 GINGERBREAD CAKE TEA! One of Susan’s new private blends of loose-leaf black teas. This tea tastes just like it sounds, cozy as a kitty in a basket of quilts next to the fireplace, spiced with cloves, cinnamon and ginger. Drink it at four o’clock on cold days; enrich it with a splash of half and half. 6 oz. bag. Caffein? Yes.